Having our fill of Richmond, we were ready to leave Virginia. 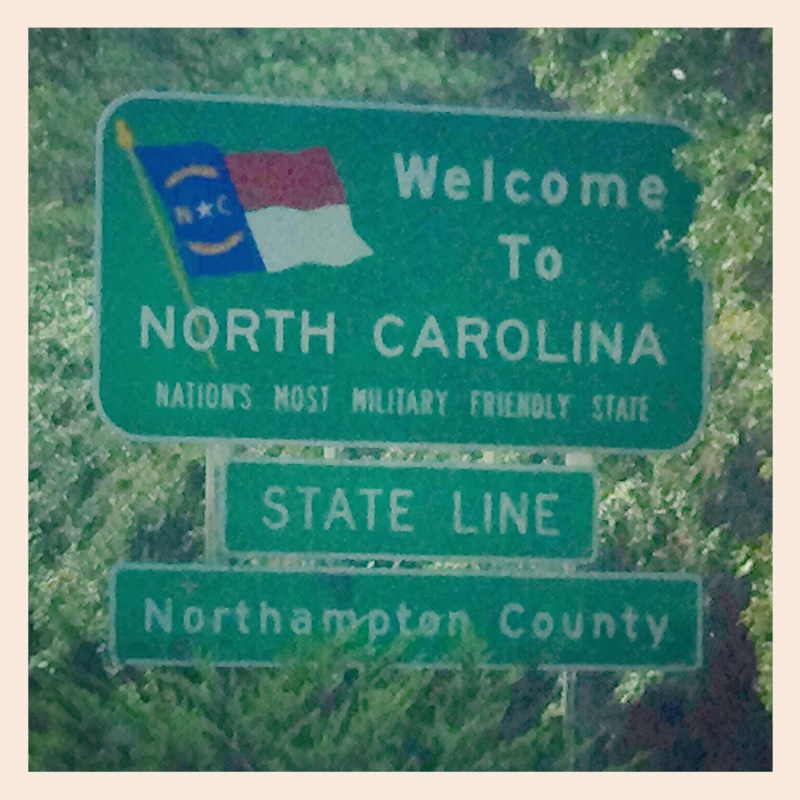 Since we were working our way down South, we’d be going back through North Carolina and wanted to check out Raleigh. While driving, we saw numerous cotton fields as well as billboards for BBQ. We finished setting up at camp early and were craving some Carolina BBQ, so we headed into downtown Raleigh in search of a good BBQ joint. We found The Pit Authentic Barbecue and decided to have a late lunch there. 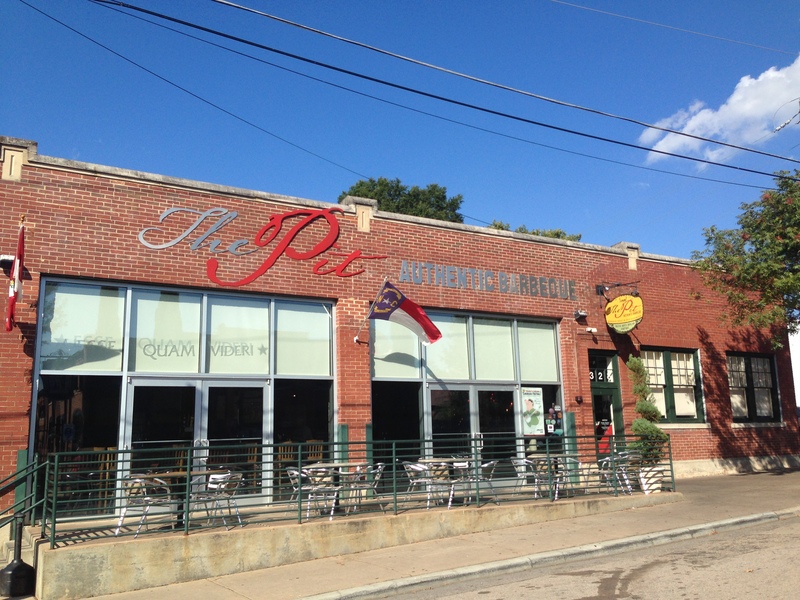 With a name like “The Pit,” you would expect an authentic casual BBQ place, especially since it also has the word “authentic” actually in the name. However, we didn’t see any type of a pit and there was no smoky aroma in the air (those should’ve been a red flag). The restaurant actually appeared to be somewhat upscale. We were hoping to be able to take advantage of a happy hour, but we were reminded that tragically there are no happy hours allowed in North Carolina. Strike two. With no happy hour appetizers to load up on, we chose the family-style option for $14.99/person, This included 2 appetizers, 2 entrees, 2 sides and a dessert. We started with the Fried Pimento Cheese and Bacon Bruschetta for our appetizers. The bruschetta was decent, but the fried cheese was delicious with it’s crispy outside, cheesy interior and sweet accompanying sauce. I wish I would have made a meal out of the cheese because everything else was extremely disappointing. For our entrees, we chose the Brisket and upgraded to the Carolina Ribs for an extra $4 per person. First of all, the brisket was dry and tough. It seemed overcooked and wasn’t tender at all. As for the ribs, we had wanted to try Carolina style ribs since we were in North Carolina. However, they were a waste of additional money. We were only given 2 ribs each, and there was absolutely no meat on them. As we attempted to eat the ribs, we felt like dogs gnawing on an old bone. Our sides weren’t any better. We had the Mac & Cheese, which was cold and gelatinous, and the Potato Salad tasted store-bought. Lastly our dessert of Carrot Cake was dry. Overall, this was a horrible, overpriced meal. It literally left a bad taste in our mouths for Raleigh. We didn’t want our food experience to ruin our Raleigh experience though. While exploring the downtown area, we came across City Market. The shopping area looked inviting with quite a few boutiques and lights strung up over the cobblestone streets. We continued driving and ventured over to Whole Foods. The surrounding neighborhoods seemed nice. As we headed out of downtown Raleigh, we got stuck in traffic. It really does seem like traffic is everywhere nowadays, even in mid-size cities like Raleigh. We’ve now been to three different places in North Carolina: Raleigh, Charlotte and Asheville. Of those three, Asheville was our favorite. 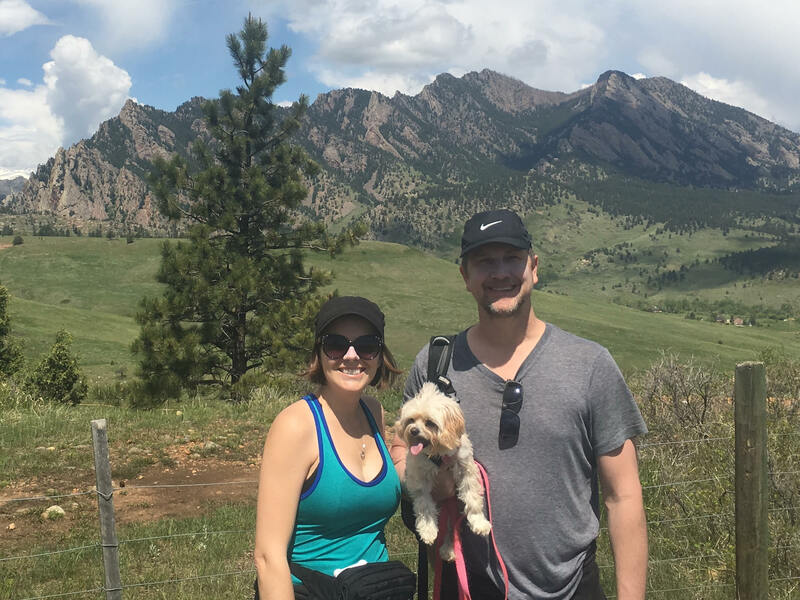 We were in desperate need of a day off from the road (both from our long drives between stops and our shorter drives exploring the downtowns). Hence we made this a leisure day. We’ve been going non-stop. At this point, traveling is becoming more of a chore than an enjoyment. Exhaustion had set in, and we knew if we kept going at this rate, we were going to burn ourselves out. We’ve realized that it’s impossible to see and do it all. Even if we spent a year in each state, I doubt we’d be able to see everything. As it is, we’re on a budget and somewhat of a timeline. We’re only spending a few days in each place. Therefore, we have to trust our gut feeling of the areas we’re able to see. That’s why we start with the downtowns and then go from there. It’s our strategy to make the most of our time. Hopefully down the road we can go back to some of the places we enjoyed and spend more time at them exploring their surrounding areas.